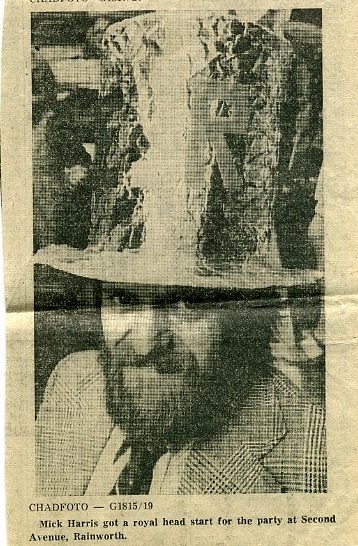 You are here: HomenextTopicsnextEducationnextRainworth Silver Jubilee 1977, Street Party and Heathlands. 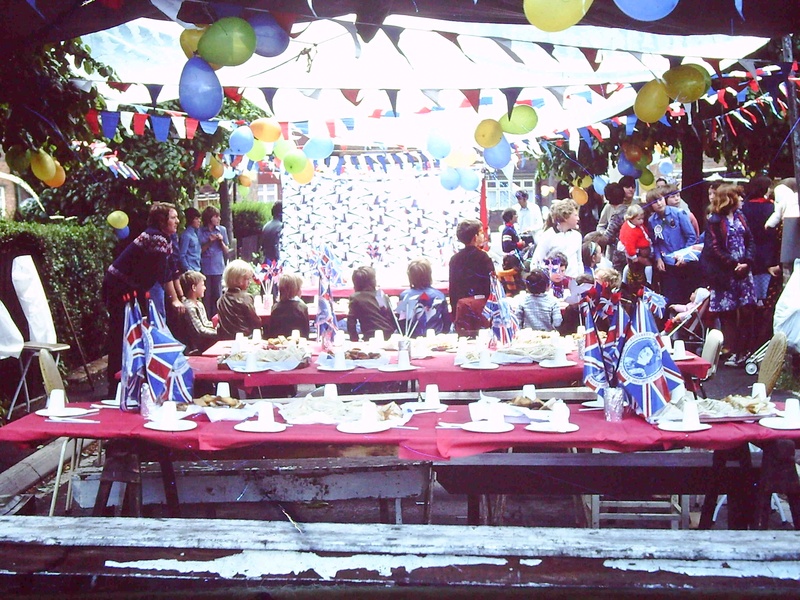 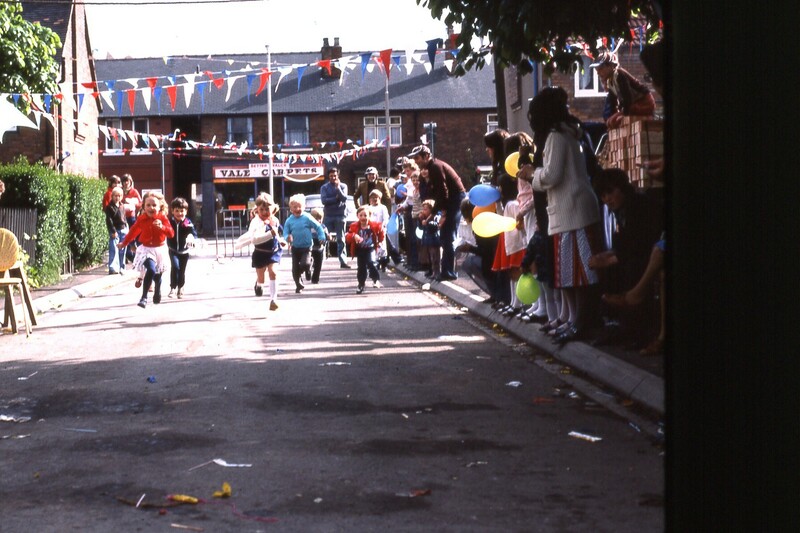 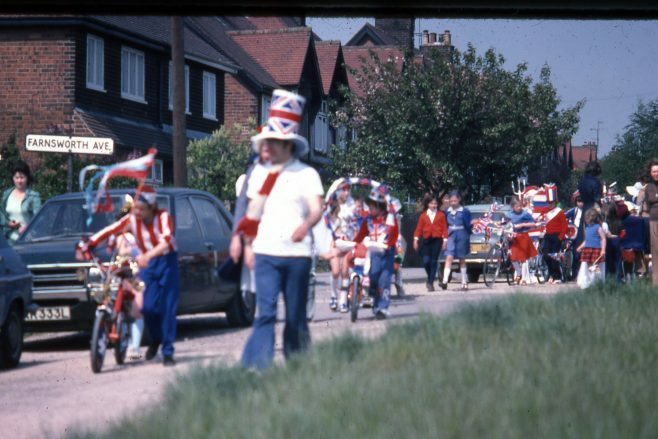 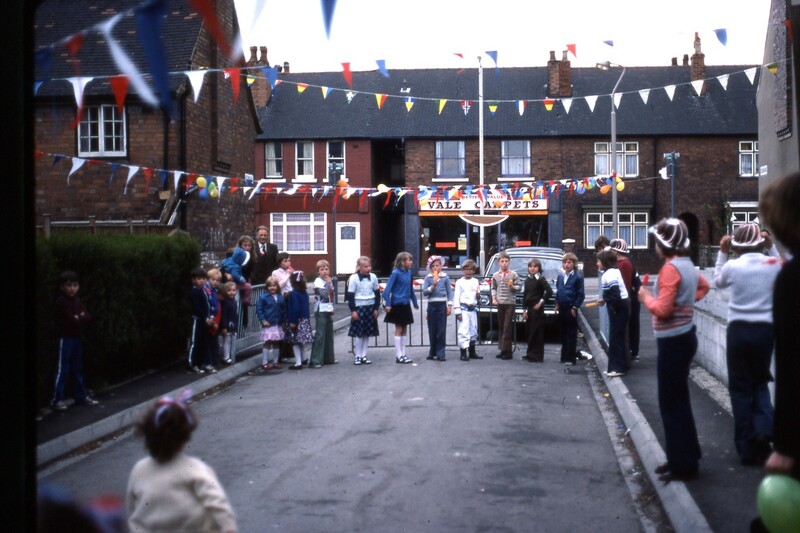 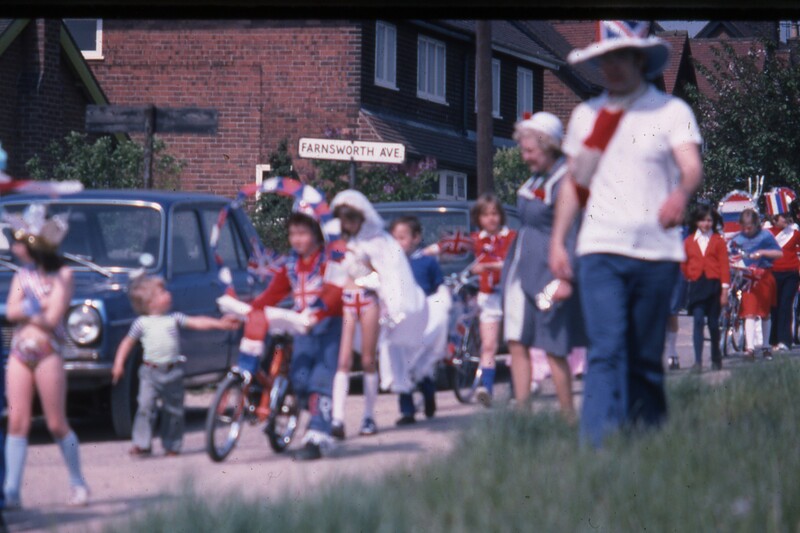 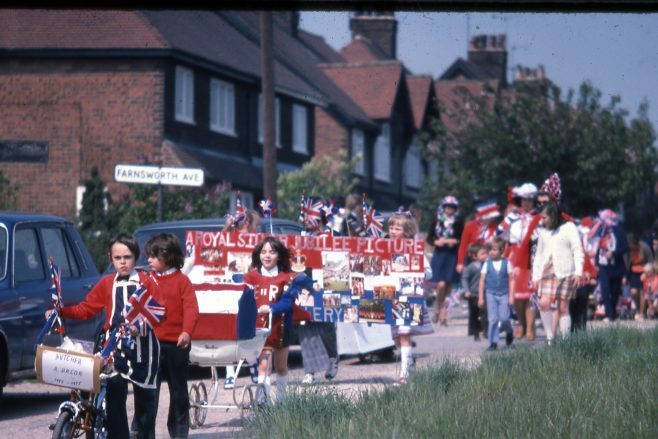 Street Party For the occasion of the Queen’s Silver Jubilee in 1977, the community of White City, Rainworth had a street party to celebrate. 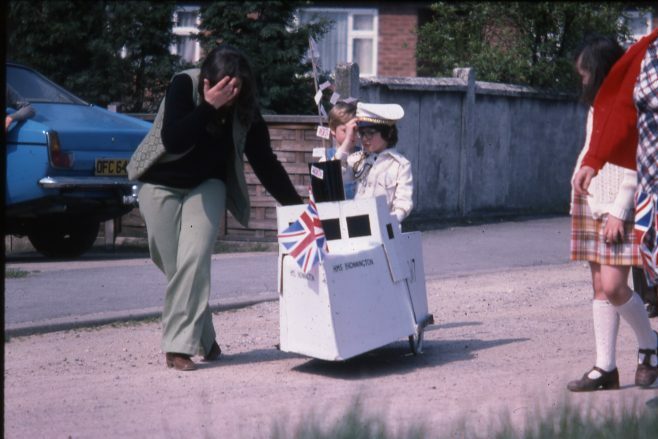 It was held on Second Avenue and the local children were invited and the day involved lots of cake and biscuits, races and games for the children and someone even brought an army tank! Heathlands First School also celebrated and held a fancy dress competition to celebrate. 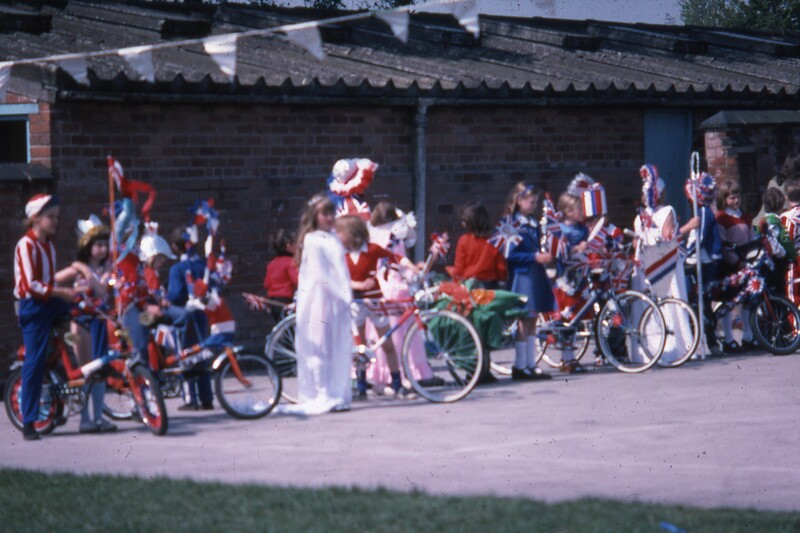 The school then had a procession around the village. 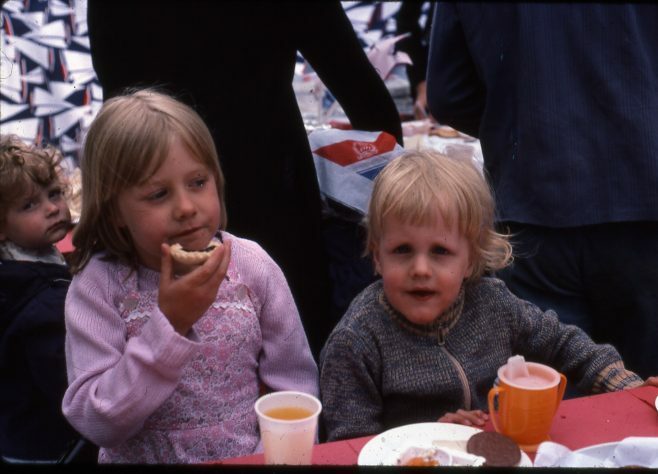 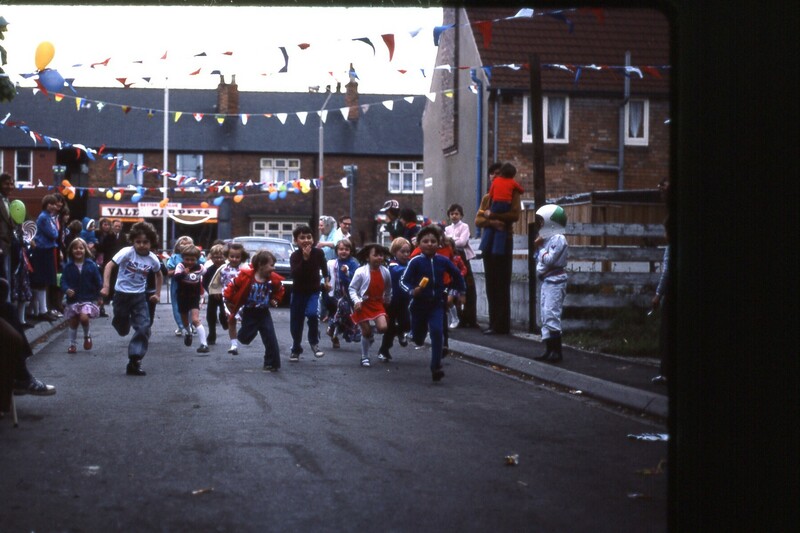 Street Party, 1977, Rainworth, Me and my brother. 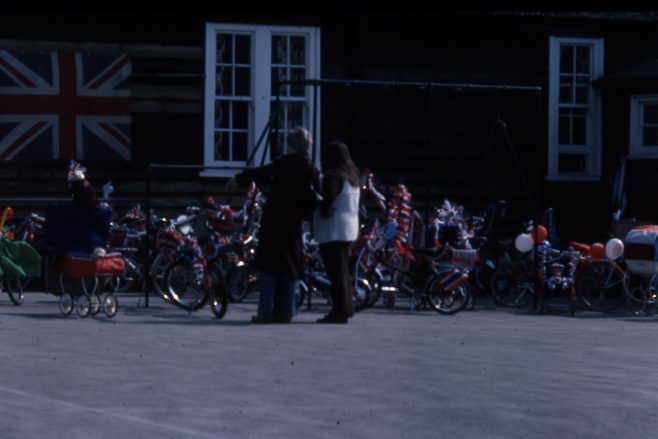 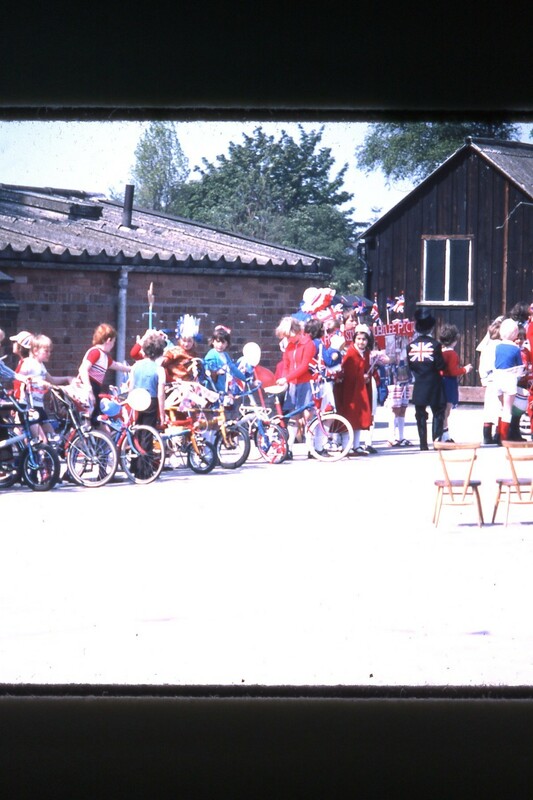 Heathlands First School, Silver Jubilee 1977 - Scott Whetton, I think. The young boy in the last picture with the Union Jack chopper ” Butcher and Bacon ” is none other than Paul Fowkes, also the little boy in the sailor suit is my partner Scott Whetton, which made me chuckle.